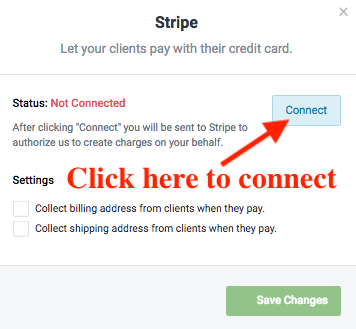 We perform all of our payment processing with Stripe. Click connect and continue through the onboarding process to set up your account. 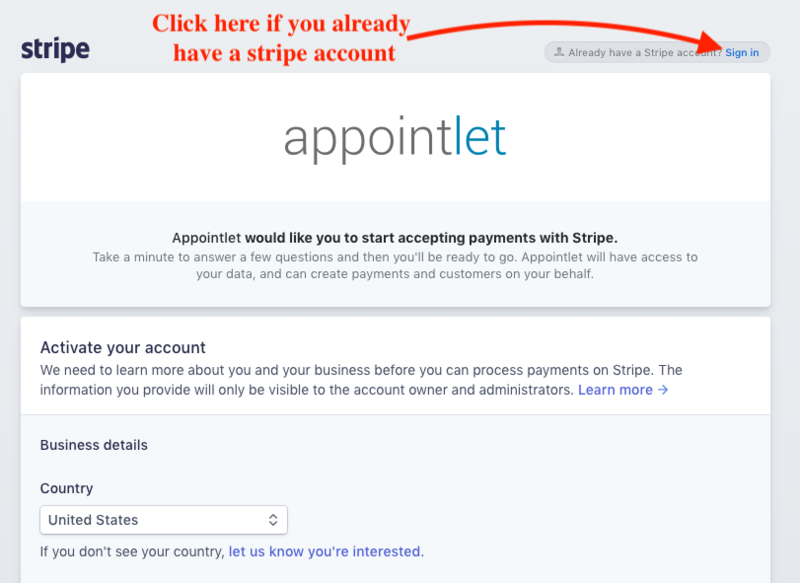 If you already have a Stripe account, click the Sign In URL at the top right of the modal. Otherwise fill out the form to create a new account. 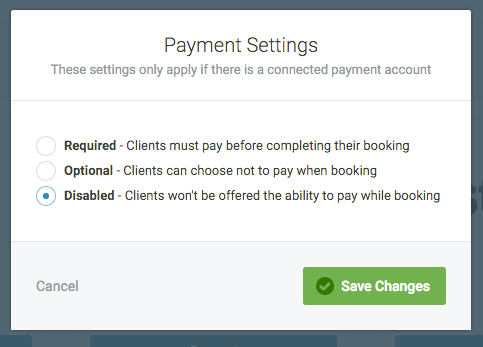 We offer a few options for accepting payments when booking. 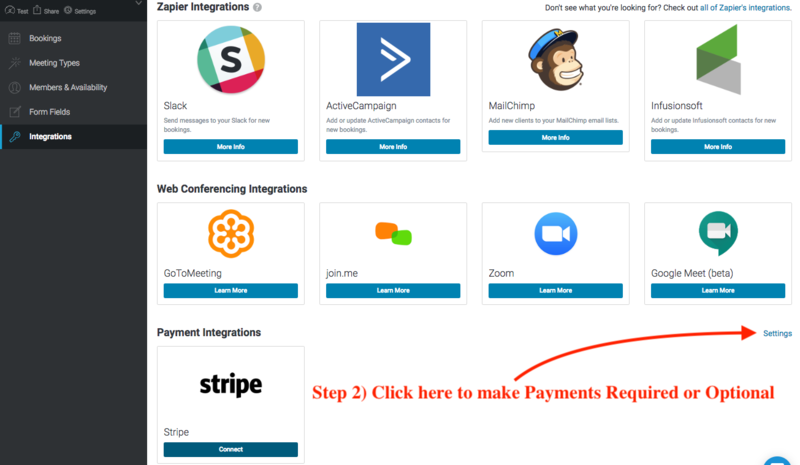 To see these options click on Integrations on the left and scroll to the bottom of the page. Here you will find a link called Settings that will allow you to configure the payment settings. These options come into play after setting the Price for each Meeting Type that you wish to charge for. 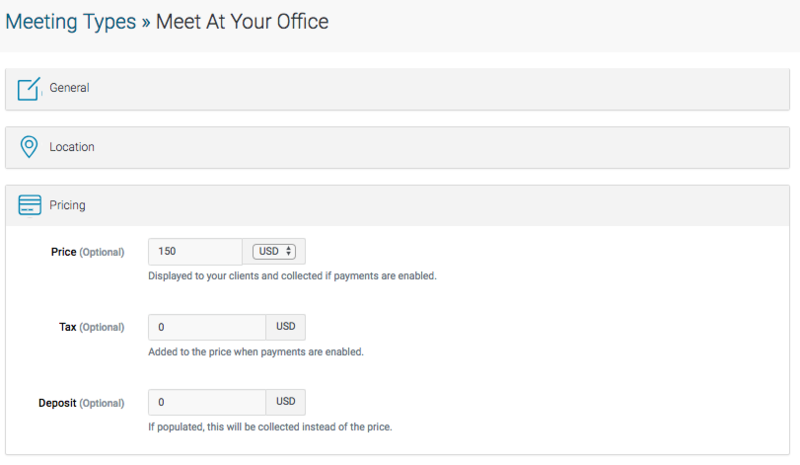 In this example, the meeting type is called Meet At your Office and in the Pricing section, the cost has been set to $150 USD. You can add tax and deposits if necessary. After selecting the meeting type, date, time, and filling out your form, they will be asked to confirm, at which time they will be redirected to Stripe to complete the booking process. When the payment clears, which should happen immediately, your booking will be confirmed.